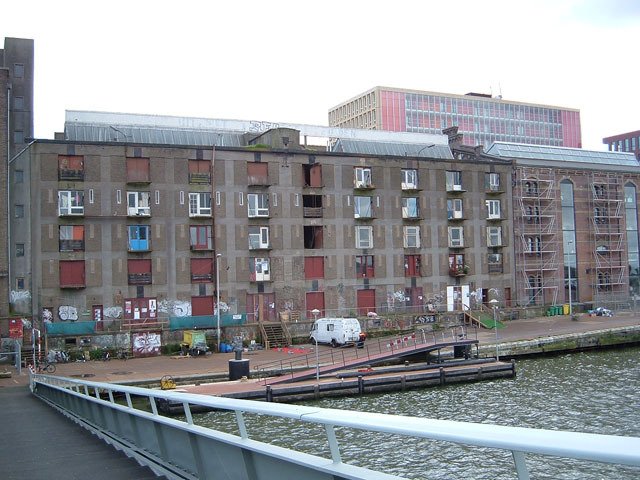 There's a row of former shipping storehouses which is in the process of being converted into a strip of new-contruction; glass and steel luxury apartments and corporate office space replacing the old waterfront. 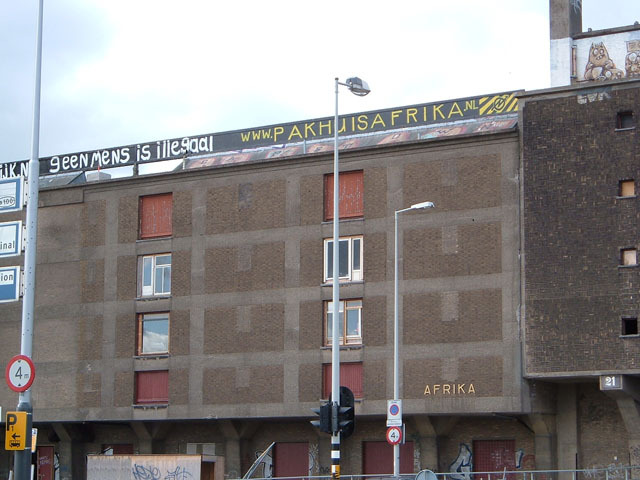 One old scool brick building remains: AFRIKA! It's sort of a community art center as well as a squat. It's actually kind of a cool scene. Heading off the onslaught of glassteel is this building which looks, fittingly enough, like a team of GIANT PRICE-GUNS, rolling across the land putting a price on EVERYTHING...FEAR IT! FEAR IT! Down the way we find more of the glass strip quickly coming into being. 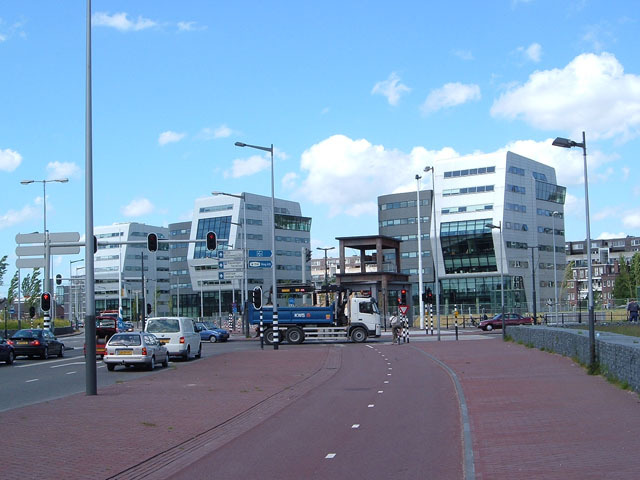 Note the second roadway to the right of the car road. This is for BIKES. 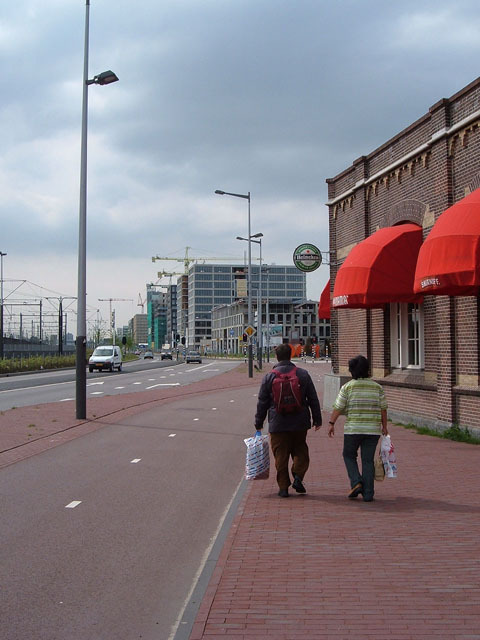 One of the things I love about Amsterdam is how bike oriented it is. Afrika: the 'front view', facing away from the city, toward the canal.